For Linux version of GPdotNET v2.0 I have decided to publish on code.google.com. In the future GPdotNET will be developed separately for this two OSs. The second reason for publishing Linux version is that people don’t know for Linux version of GpdotNET. So these two reason is enough to start separate hosting . 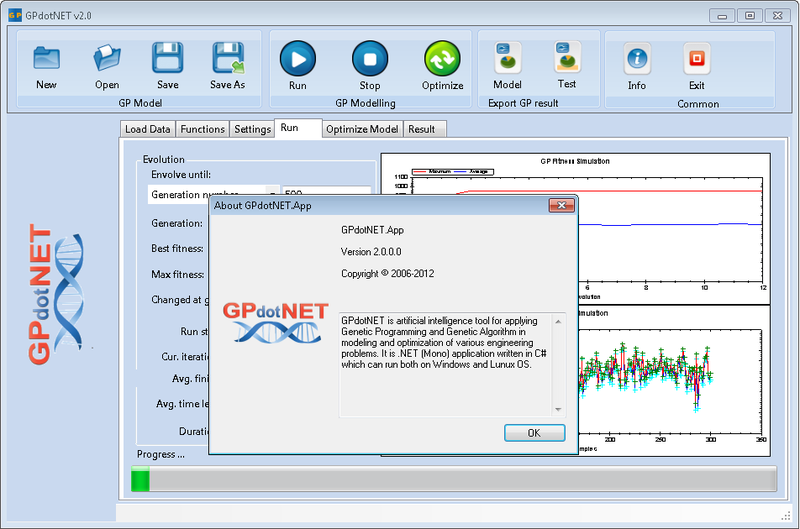 When the final version of GPdotNET v2.0 will come, it would be the same as previously announced. After version 2, probably development of Linux and Windows version will be separated because of my preferred platform and some future plans and implementation with specific features for Windows 8. 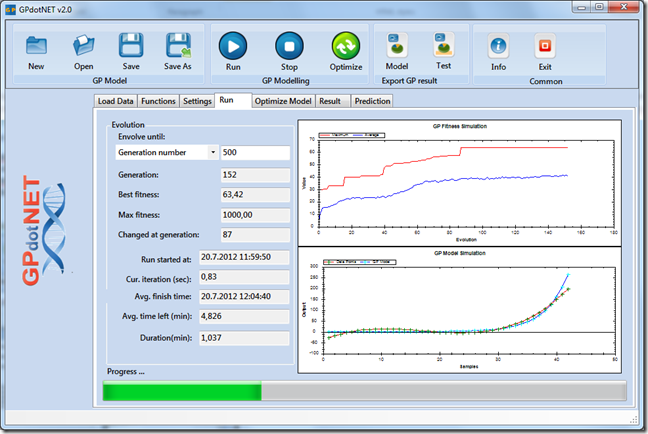 As it was announced GPdotNET v2.0 has new optimization modul based on Genetic Algorithm. 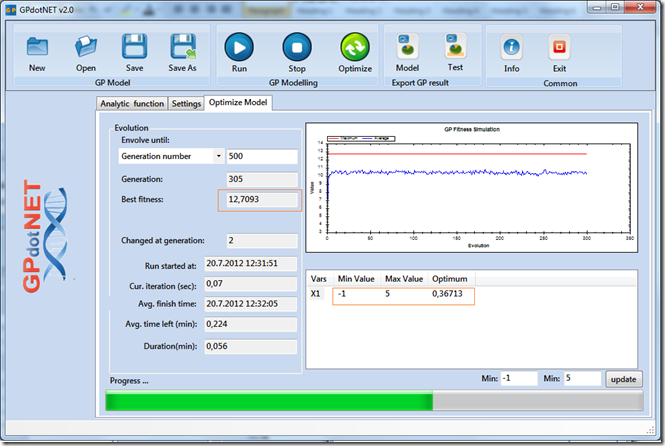 In fact you can perform two kind of optimization in GPdotNET. After we click on the link above internet explorer show the picture similar with below. 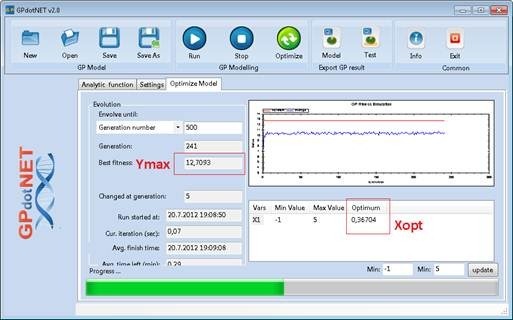 As we can see maximum value is depicted with red point, and corespond with Max(0.367; 12.7). If you dont belive just calculate and put in to function to get . Now our problem is how to do that with GPdotNET v2.0. 1. Open GPdotNET v2.0 and press “New” Button. 3. 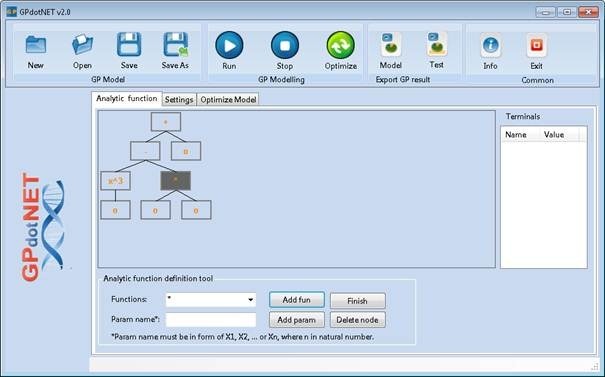 Every time you want to create a new Model you got this dialog to choose what kind of model you want to create. As you previously know you can create 4 diferent models, and the last one is going to be show now. On this picture we have 3 different. 1: Area for drawing three structures, 2: command for manipulation of analytic function and 3: register of constants and variables. 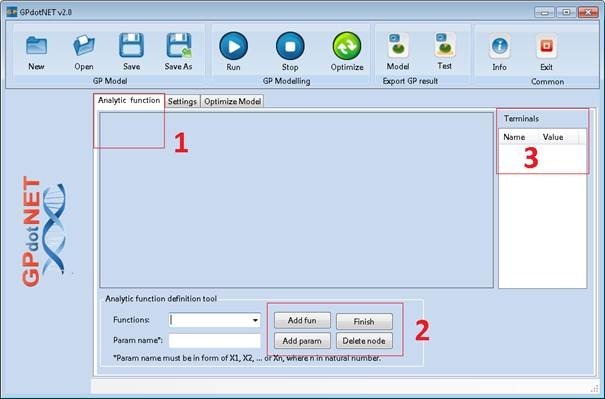 The combo box Function contain all available function in GPdotNET, so if you want to add one just choose from the combo box and press Add Fun button. 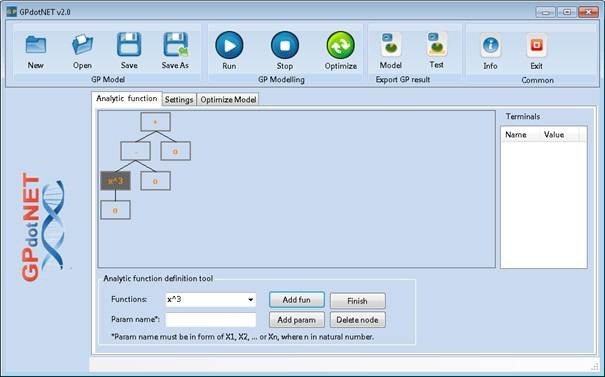 To define our function we need to analyze it and start inserting operation by operation. If we look the function we have 3 addition, 1 substract, 2 multiplication, cube and quadrat. So first we are going to insert 1 addition. 5. From Function Combo box choose +, and press Add Funbutton, the following picture is appear. 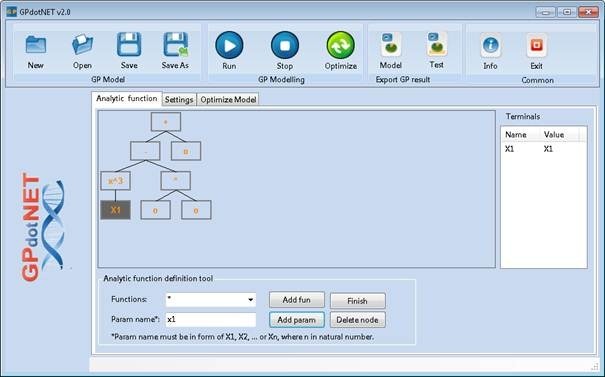 After we inser + function, GPdotNET is automatically added to child, because addition operation has two argument. 7. Also on the left leaf node Add X^3 as picture show. 8. Select left node and add “*” function like picture below. 9. Now we are going to add X1- independent variable. Press Left mouse button on leaf node below X^3 function. In Param Name enter “X1” and press Add Param button. 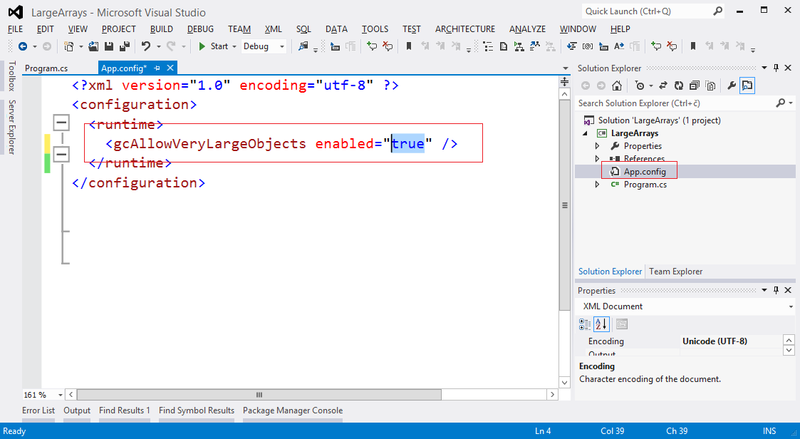 Notice that X1 is inserted in to right ListView control as register of variables. Rule for Entering variable: You can only add variables in the form of : X1, X2, x3 ,….. 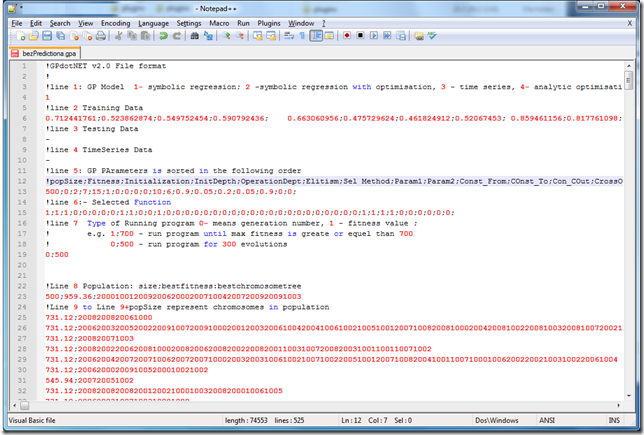 The following picture shows the result of adding variable. 11. When we finish with defining the function press Finish button, and registered variables and constants are transferred to Terminals need to make program. 13. 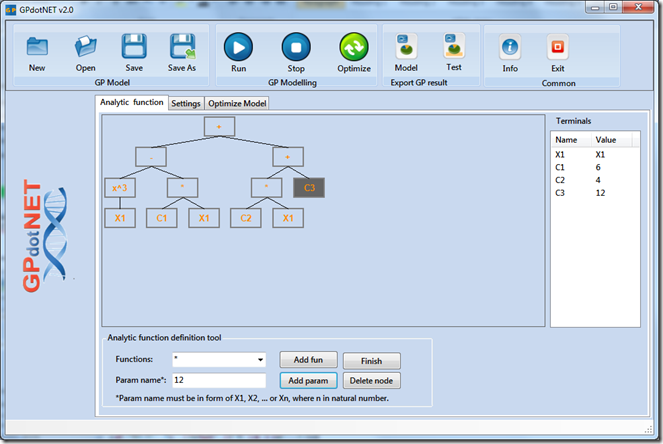 Select X1 in listView located in Optimize Model panel, enter minimum and maximum value and then press updatebutton.Now Optimum panel is rey for running simulaton. 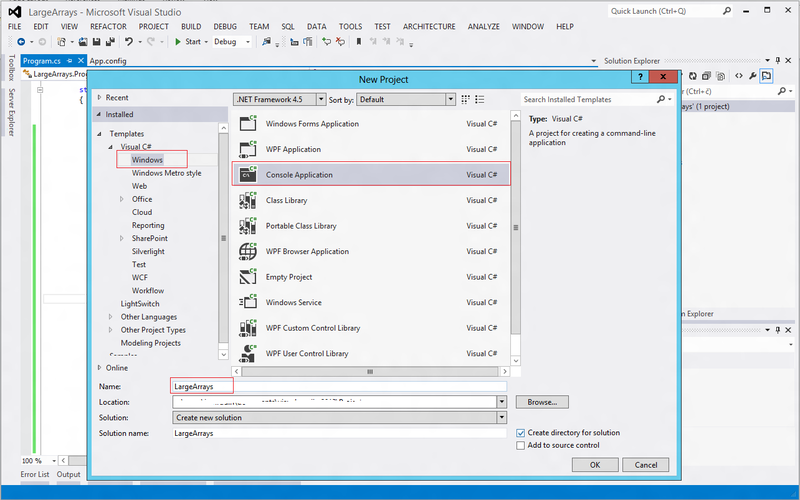 14- Now that we have all needed information to run program, press Optimize toolbar button. In few millisecond program is started and simulation begins. 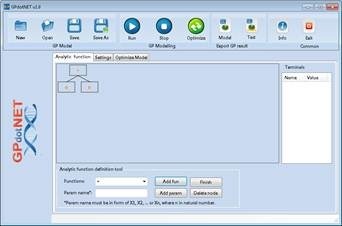 After some evolution best solution (optimum) ius found so you can stop the program if you want to by pressing STOP toolbar button. 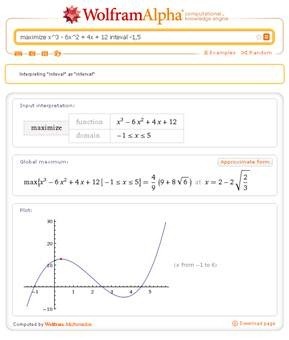 The solution of our optimization shows below picture.It is very closed to previous one calculated by WolframAlpha. 15. Press Save toolbar button and save your work. 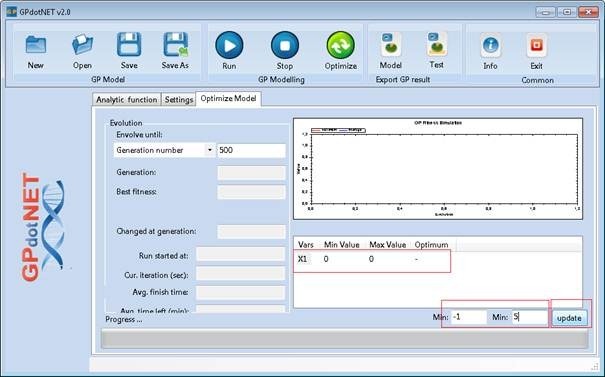 Optimization of GPModel begins after you find solution to yout model. 1. 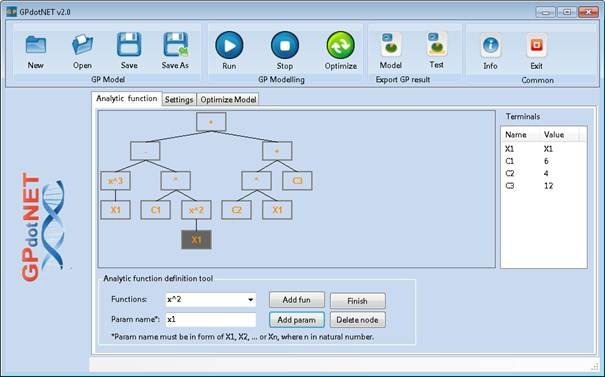 When you create new model, choose second option instead of first for Modelling and optimization. 2. 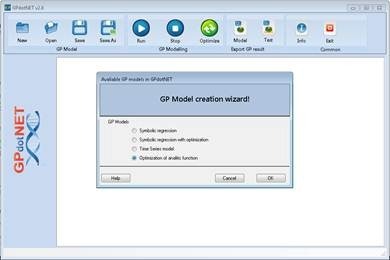 How to perform modelling in GPdotNEt you can see in previous post. 3. After you finish modeling refer to ste 12. the procedure is the same. Definie maximum and minumu value of vaiables and press Optimize button. 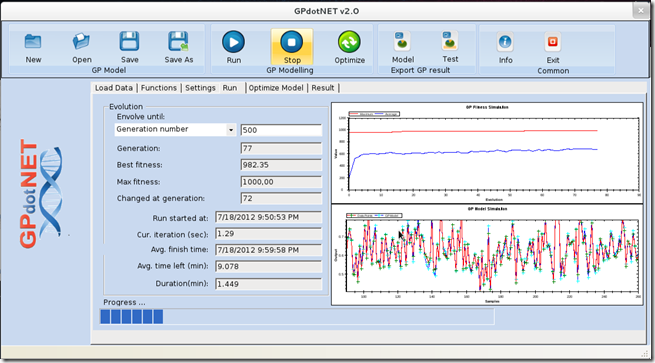 GPdotNET v2 is runnign od Windows and Linux based OS. 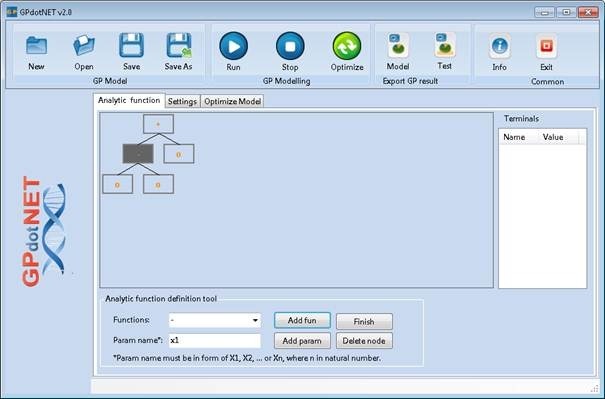 GPdotNET v2 now supports optimization modul which is integrated with existing GP modeling, as well as a separate module for finding optimum of analytic defined function, please see my previous post about it. New simplified GUI with only one big toolbar containing all avaliable options. New File format which you can open in Notepad and modify manually. 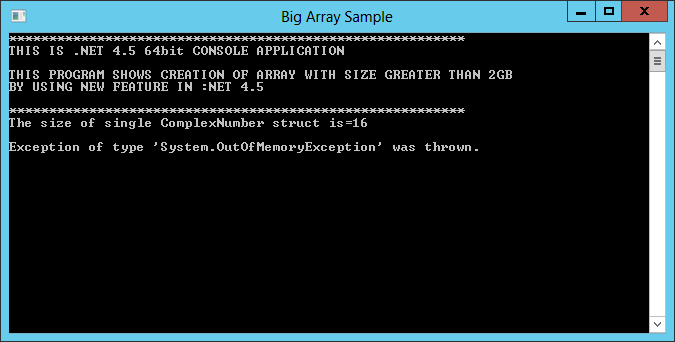 New memory improvement, with using memory pooling. For each of this main features I will write blog post as well as User Guide and Tutorials. Here is some screen shoots how GPdotNET looks like in Fedora 17.